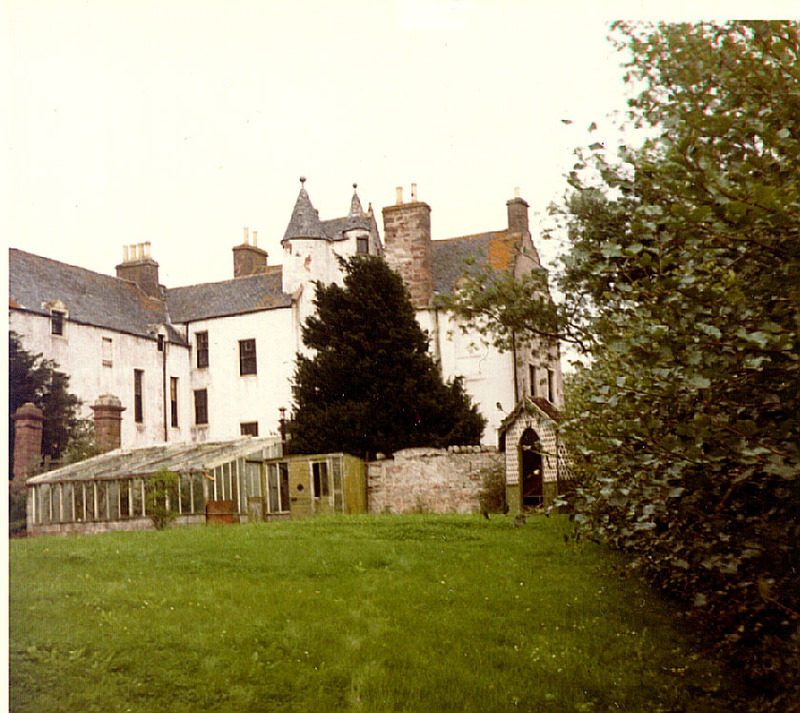 My recollections of Allardyce castle from 30 years ago no doubt conflict greatly with what exists there at present. Some estimate that building on the site began in the late 1500's and others seem to think that construction started in the mid 1600's. In any event, the present structure has undergone several additions and so many structural changes, that nothing inside matches the image that one has of a castle's interior. Regardless, Allardyce is a manor house rather than a true castle. The appearance of gunpowder and cannon rendered castles obsolete long before the first sod was turned there. The fact that the house has castle-like features is an architectural fashion statement of its day. 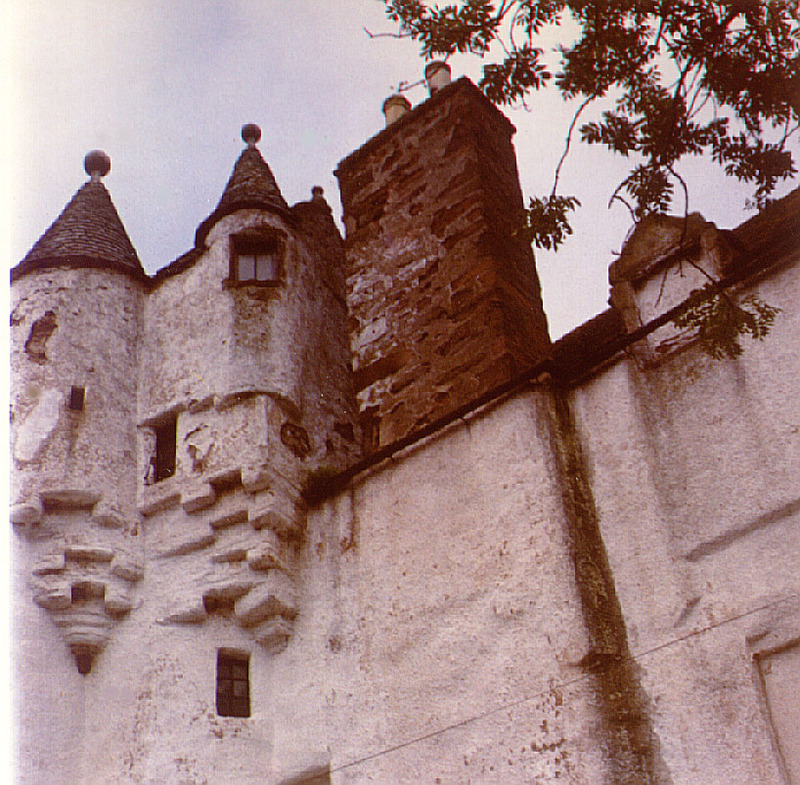 The overall structure, with its conical turrets, resembles some of the medieval buildings in Normandy, France. 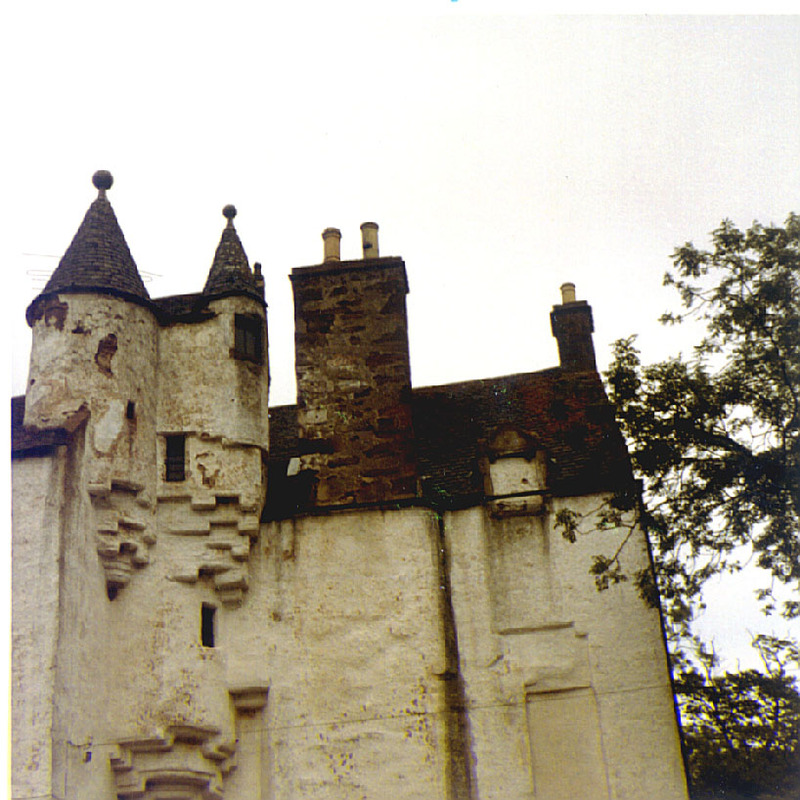 It is rarely mentioned in books about Scottish castles, but in one, I read the statement that it is noteworthy for its remarkable corbelling, the interior having been compromised by massive structural changes over the years. 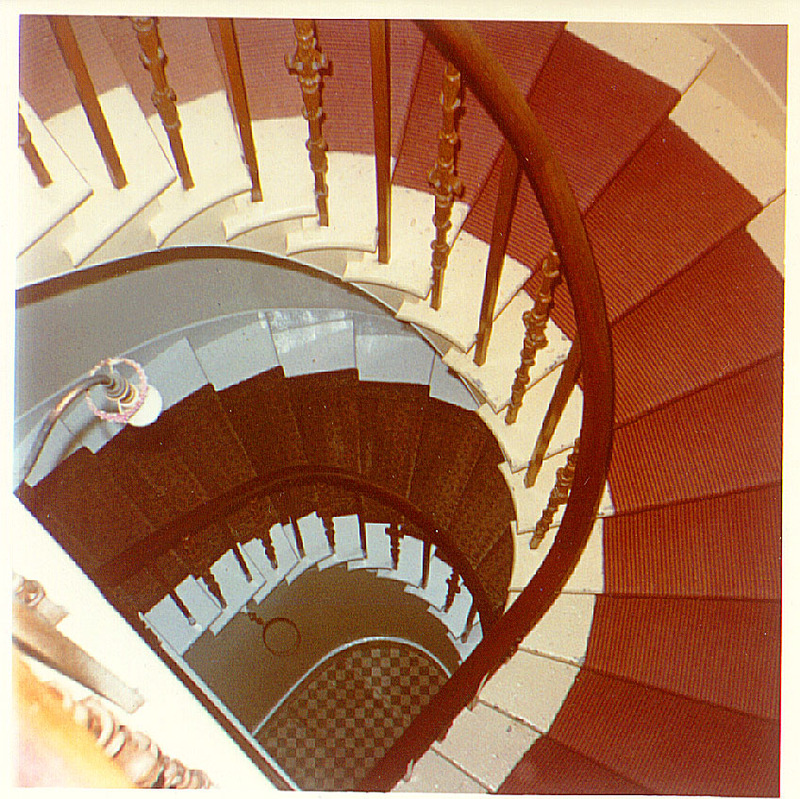 The last and the most extensive reworking seems to have taken place about 1880, when the spiral staircase was added. All of the visible woodwork, doors, baseboards, window frames, etc. seem to date from that period as well. Built of stone, stucco on the exterior and plastered inside, the castle is large and rambling. The walls are so thick that although the rooms were numerous, none were of any great size. The very high ceilings do add greatly to the impression of space. Apparently the house was used as an ordinary farmhouse during the 1900's, ending someone thought about 1939. Only a small part of the castle was accessible. One whole wing, [the wing with the keep] comprising about half the entire structure, was closed off due to rotting floorboards and other hazardous conditions. 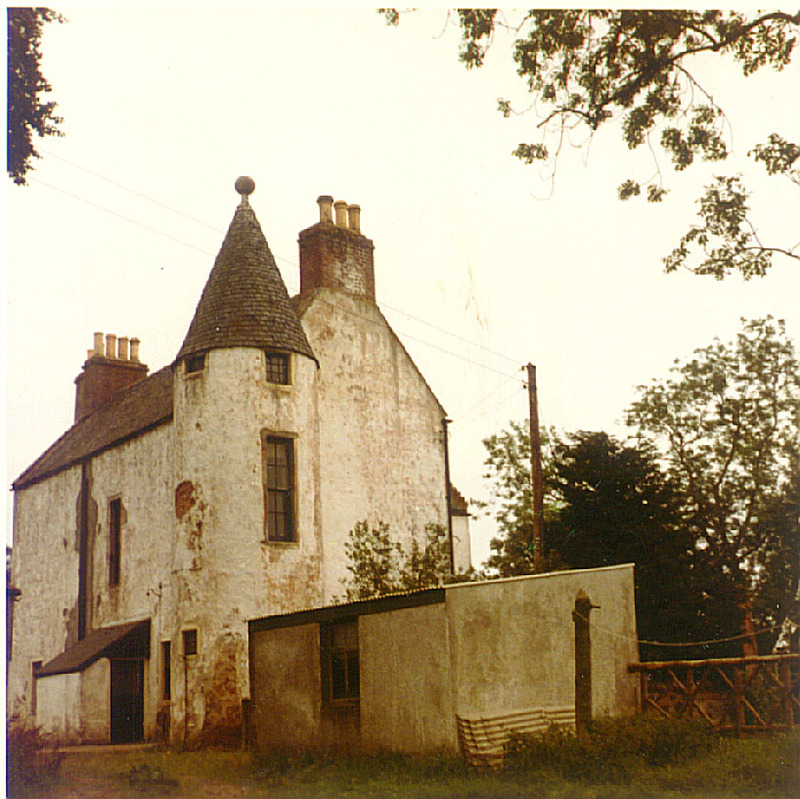 It appears (according to what Mr. Bain told us) that the derelict wing pre-dated the rest of the house. Within the habitable wing, which was seldom used except as a week-ender, a few rooms were kept up and sparsely furnished. The main floor had only an open kitchen - dining area and a passage to the stairwell. A fireplace in the kitchen, a couple of doorways and an arched passageway were filled in with brick. We were told that there were underground chambers (no torture chambers!) but access had been sealed off. Mr. Bain's concern was for the safety of his grandchildren when they played there, so any area deemed unsafe, or unstable, was bricked up, or had the doors nailed shut. 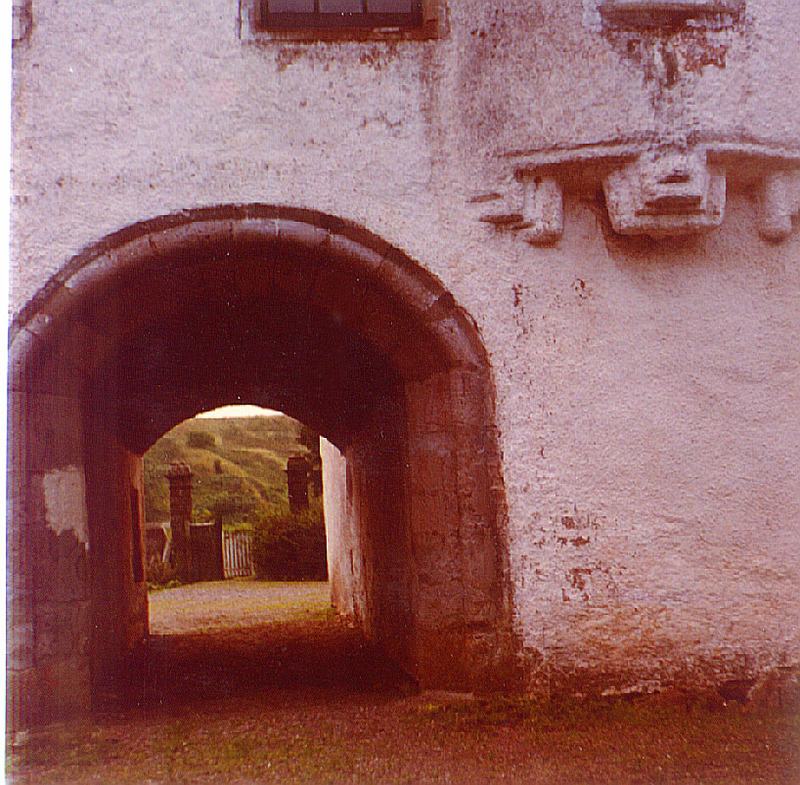 Local legend had it that an underground tunnel ran from beneath the castle to the old stone church at Arbuthnot [The Kirk of St. Ternan], about a half-mile away. Mr. Bain said he had a good look around before sealing off the area, but found nothing that would confirm the story. 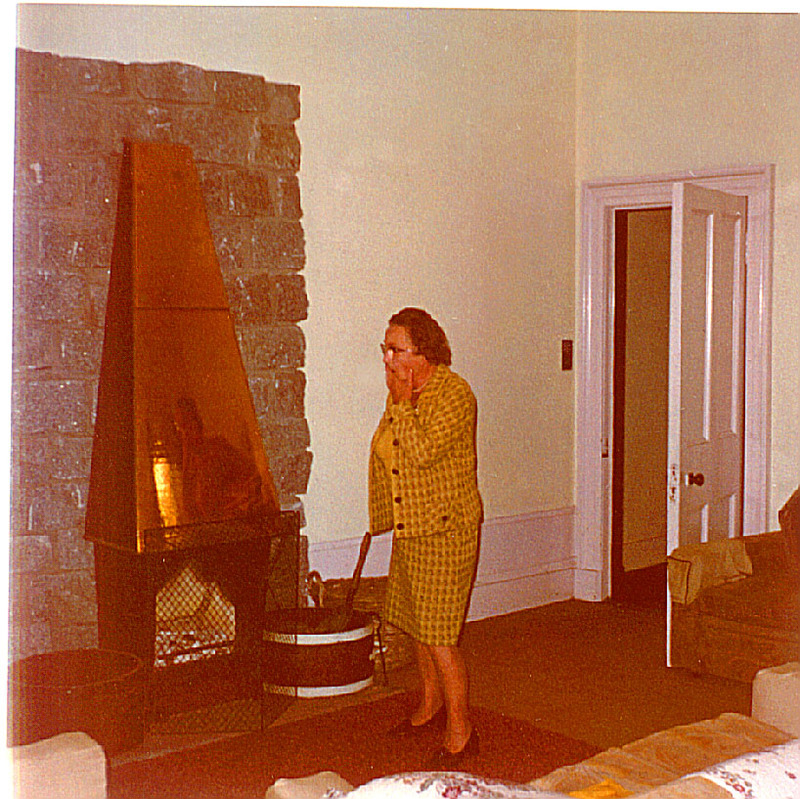 The second floor had a small, narrow family room with a fireplace, a number of empty rooms and several furnished bedrooms, as well as a full bathroom. The largest room was unfurnished and unused. The rooms in use were kept up but elsewhere the paint was peeling and flaking from dampness. 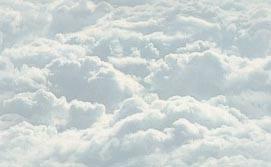 The doors leading to the uppermost levels had been nailed shut, to my great disappointment, as I would love to have gained access to the turrets to get a bird's-eye view of the surrounding countryside. Although very isolated, with access gained by a fairly long trek through cultivated fields, there had been an ongoing problem with vandals, trespassing, and smashing the windows. 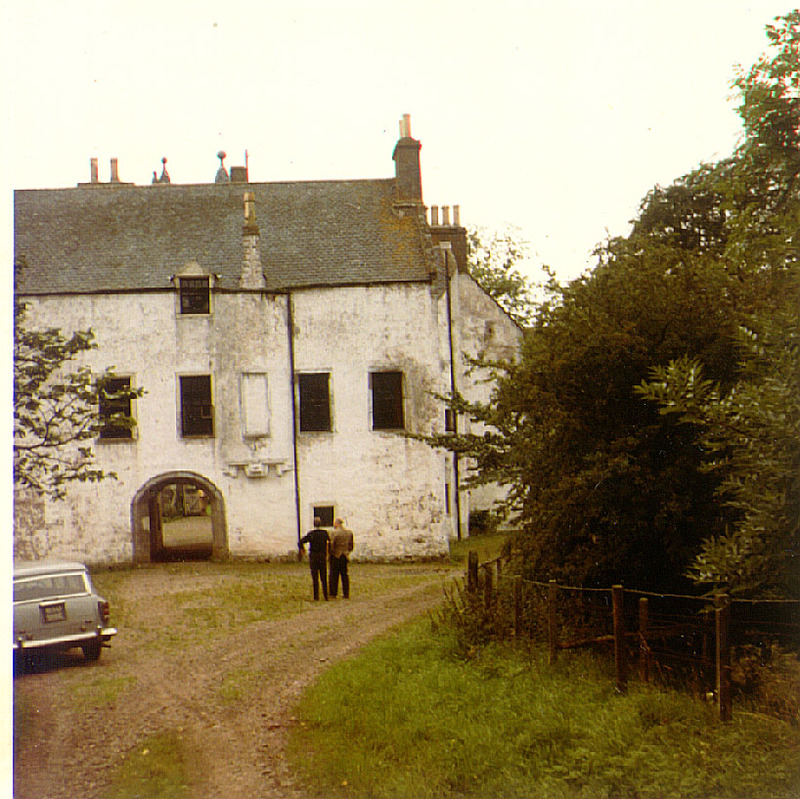 Mr. Bain, who lived 9 miles away in Stonehaven, had tried for several years (at the time of our visit, 1970) to get someone to move in, rent-free, in return for some very minor maintenance and to discourage vandalism. There were no takers for his offer. 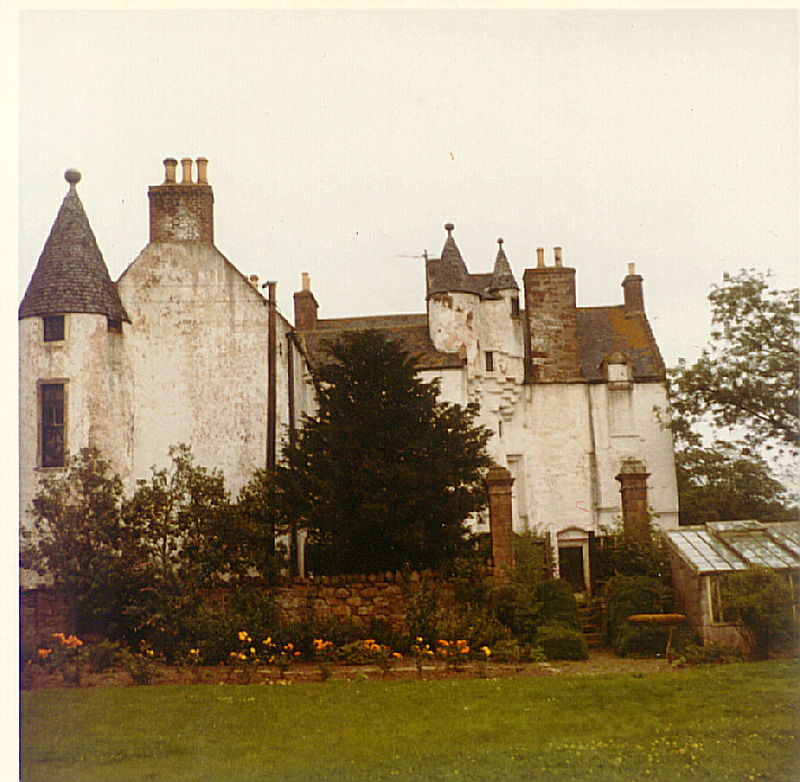 The castle was equipped with hydro and running water, but the only heating was with open fireplaces. I think the prospects of spending a northern Scottish winter in isolation there would frighten off the hardiest soul. The cost of fuel alone would probably bankrupt the average wage earner. The plumbing and wiring could not be hidden unless false interior walls were added over the stone, and so the wires and pipes were all visible, running to their destinations along the walls. In closing, I must say that while my viewing of Allardyce castle was the highlight of my visit to Scotland, I was very disappointed that so little inside the castle was in keeping with the magic of its exterior. I suppose I had expected something out of a fairytale. I hope someone has properly and lovingly restored this imposing structure to some form of its past glory. This manor house should be preserved for posterity. The David Allardyce (Pictured left) I went with to see the castle in the summer of 1970, is Archibald David Beechcroft Allardyce of Toronto, Ontario, Canada. The pictures below were all taken in 1970 by Bud Huffman. Click on a picture to see the full size view. The above pictures highlight the corbelling. Inside this double tower is the main staircase. Views from front looking through the archway to the rear, then from the rear looking through the archway to the front, and finally a view of the rear of the castle from the driveway. These are the only interior shots that we have. 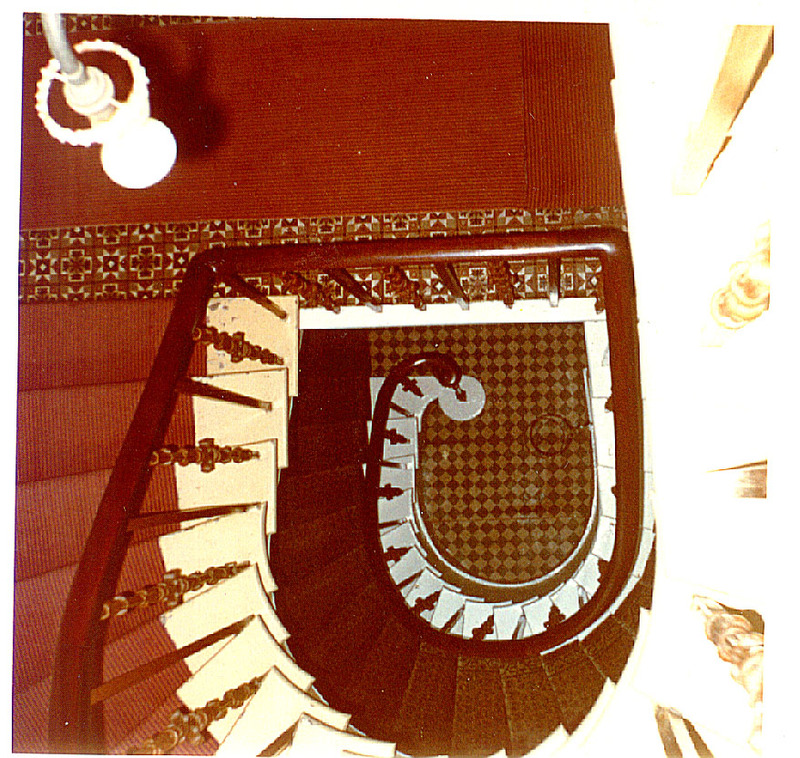 Two of the staircase and two of a living room. 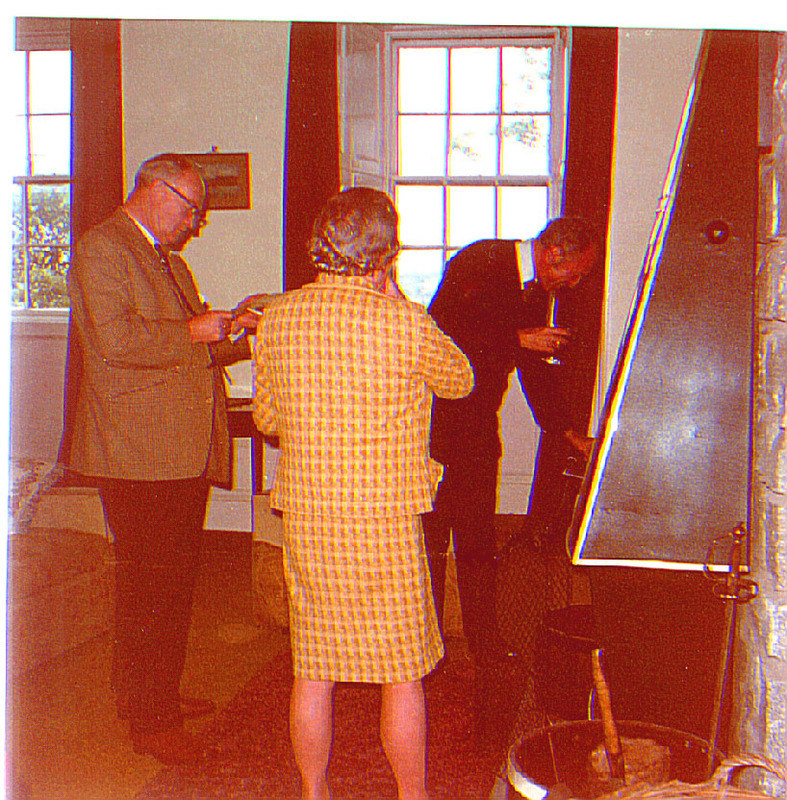 The people in the pictures are Mr. and Mrs. Bain, the owners in 1970, and David Allardyce (bending over). 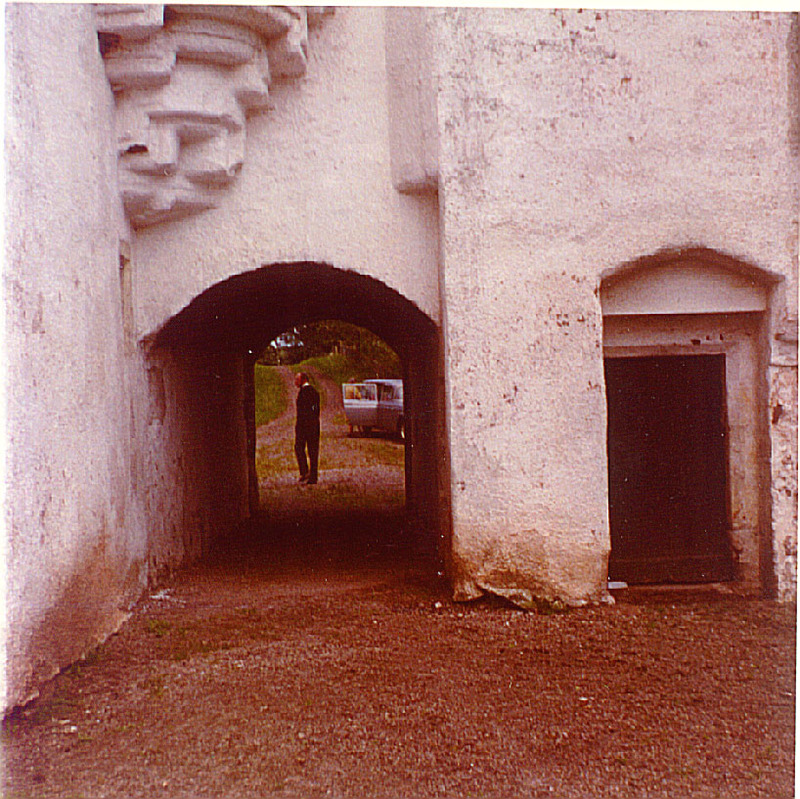 The picture above (click picture to enlarge) was taken in 1999. 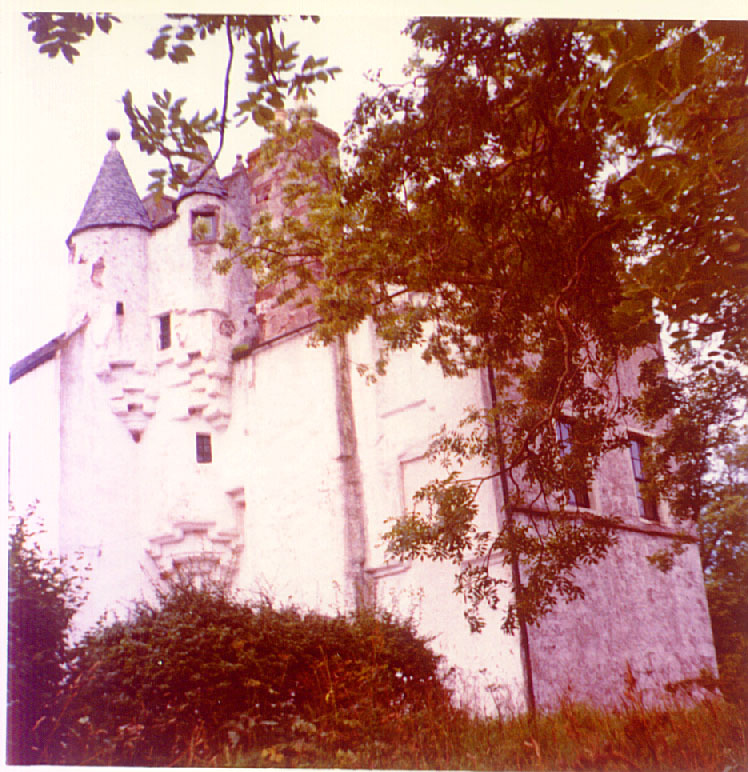 Allardice Castle is now owned by the Cowie family who have done a remarkable job of restoring the castle. I know Allardice's everywhere sincerely appreciate the work the Cowie's have put into restoring a building that is a significant part of our family history.